Migration Patterns is a new series of 13 portraits, painted onto the pages of a discarded road atlas. 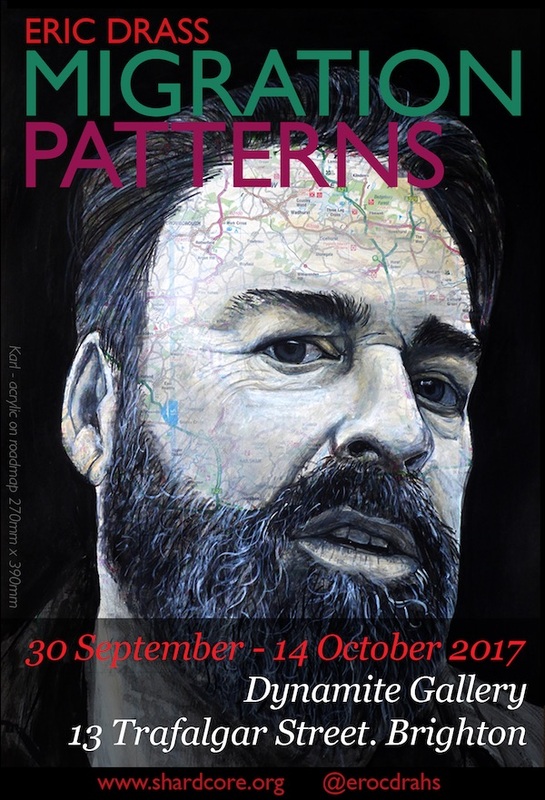 Migration Patterns is being shown at The Dynamite Gallery, 13 Trafalgar St, Brighton from 30th of September until 14th of October. Click on the images below to see the portraits and hear what they said.